There can only be one entity as the center of the internet, and two of the most actively playing participants are constantly rolling out new features against each other. Facebook and Google have been on a constant war since forever, and now, things are starting to get heated up. This is something SEO resellers and other companies should look out for. Just recently, Google launched its social networking product, Google+, which is by far the most compelling social experience Google has offered. This new product is proving a stir for Facebook since it made moves to counter the features of Google+. Facebook just came out with its new video chat feature similar to the Hangouts feature of Google+, and last summer, Facebook rushed to roll out the new Groups feature to be the Circles. What’s really interesting is how it affects the social sharing world. Google made a small change lately to show just how serious they are taking in things. Every time you click the link in Google+, it redirects it through the plus.google.com domain. Google+ uses the HTTPS to be secure; however, it does not show the referrer information that is usually passed to a website. So they had to redirect it to a non-HTTPS domain like Google.com/url to pass data. Now, it uses a plus.google.com domain, making it easier to track for casual analytics users. This is a practice done by Facebook that Twitter needs to develop for their users. Today, Facebook is leading the war that was preceded by Twitter. Two years ago, Twitter was the preferred social media platform since Facebook was a lot slower in sharing content. This did not last long since the birth of Facebook’s “Like” button. 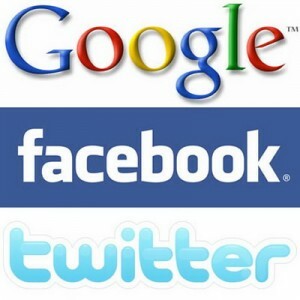 Google+ is an all-around social media platform that can perform all of the other’s features especially with the +1 button. The question for users would be which sharing buttons would you click on? With all of the social media marketing platforms available, you have to choose which one to use. Pick a white label SEO company like SEOReseller.com that can help you with all your questions. SEOReseller.com has been helping agencies with their SEO needs. Visit their website and learn more about the company and its services.